This link will re-direct you to PayPal, which manages our secure online giving. There you will be able to donate through your PayPal account, a credit card or a debit card. While we see most debt as neither Biblical or wise, we know that many people find electronic giving convenient and manageable. You will have the option of entering a mailing (USPS) address to receive a receipt at the end of the year for tax purposes. Please do this, as it gives us needed accountability in stewarding these gifts. If you would like, you can set up a recurring monthly donation. This does require you to use either an existing or a new PayPal account. Paypal takes 2.8 percent of these donations, so for larger gifts we still prefer either a check or a bank transfer. Contact us at mail@trinityfellowship.net for details.. Furthermore, putting a gift in the offering basket on Sunday is a meaningful part of worship which we commend. 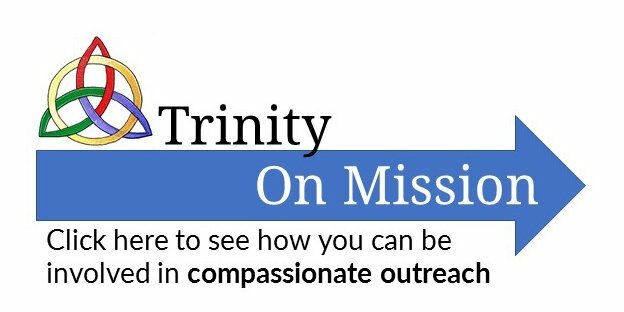 Note that Paypal refers to Trinity Fellowship as Trinity Evangelical Free Church, which is our legal name, though we also do business as Trinity Fellowship.